On my last wash day, I tried the Senk Conditioner for the first time. I decided to try it because I enjoyed the shampoo bar so much. The conditioner smells very similar to the shampoo bar, which is a pleasant smell. The directions state that it can be used as a rinse-out conditioner or as a leave-in. I decided to try it as a rinse-out conditioner. The conditioner is pretty heavy. It doesn’t really emulsify like other conditioners which caught me by surprise. It felt heavy, even by my standards because I usually don’t mind that. Part of me wanted to mix it with another conditioner but I decided to give it a fair try. I left it in for about 30 minutes with a shower cap on. After rinsing my hair, it felt moisturized. It didn’t feel heavy or greasy as I expected. I like this conditioner because of all of the natural oils it contains, but I can see it being too heavy for a lot of people. It may work well as a leave-in. I’ll have to try that! What’s in it that caught my eye? Would I buy it again? Probably not, unless it wows me before the bottle finishes. The shampoo bar is definitely a winner though! 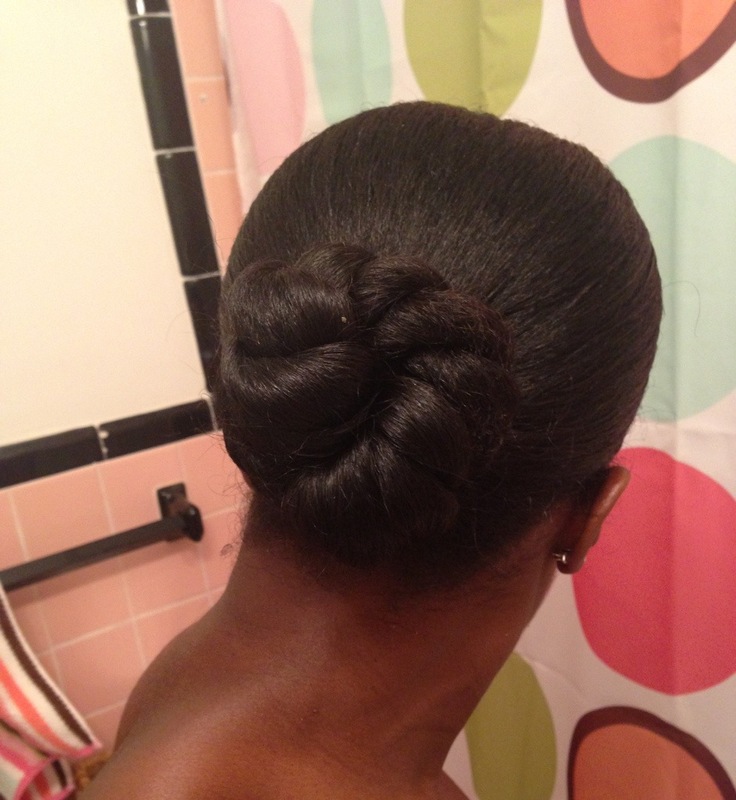 Here’s today’s bun for the Hairscapades Bun Challenge! wow, your hair is absolutely gorgeous!